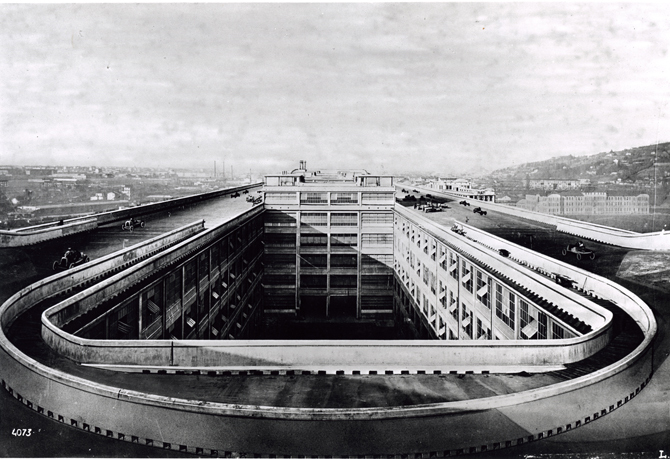 Fiat Lingotto Factory, Matte-Giacamo Trucco engineer, Turin, Italy, 1913-26. Photograph courtesy of the Fiat Archives, Turin. How can we provide spaces for urban manufacturing so that they encourage industries to take root in our cities—and thrive? 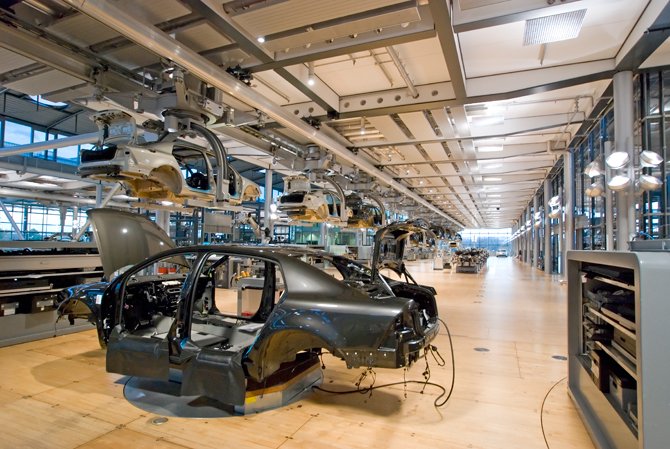 Thinking economically, architecturally and urbanistically, what is the factory of the future? How do the socio-economic-political aspects of manufacturing, with changes in urban manufacturing and manufacturing in general, influence the design of industrial buildings and thus cities? These are just a few of the questions The Vertical Urban Factory addresses, a project and traveling exhibition first displayed in New York in 2011, and at the Museum of Contemporary Art in Detroit and at Toronto’s Design Exchange in 2012. This project is done under the auspices of the New York Foundation for the Arts. Buckminster Fuller and students from North Carolina State College, Model for Vertical Cotton Mill concept, 1952. 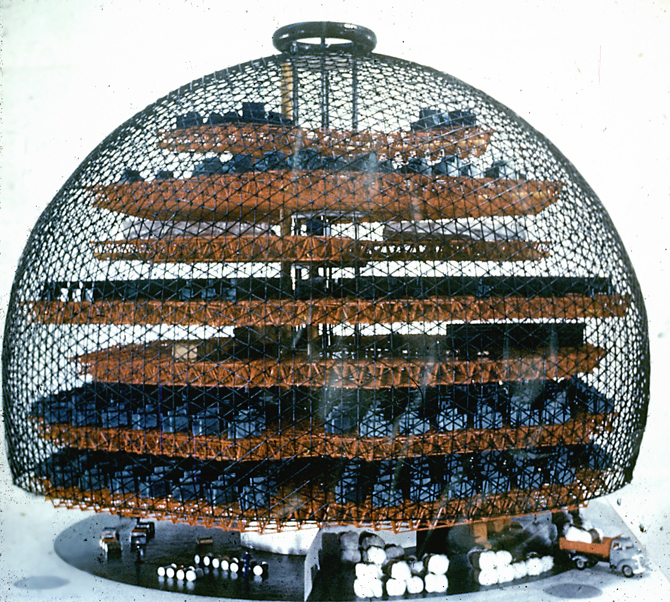 Photograph courtesy of Stanford University Archives, Buckminster Fuller Archive. Historically, factories, those places of making, shaping and assembling things, were our cities, and our cities were factories filled with multi-storied dense spaces for making. This once-new building type provided a freedom to explore the spatial, structural, and organizational ramifications of machines and production from vertical systems dependent on gravity flow and centralized power sources. Workers, owners, and machinery all were in proximity. Factories were integrated into city life, providing stable jobs and building an urban economy. As factories leave North American and European cities with the ease of containerized shipping and the digital supply chain, they find cheaper land, production, and labor elsewhere. The new free trade zones in developing countries like China, India, and Mexico, and networked just-in-time production, have contributed to a global ‘flat’ world and changed the dynamic of cities by removing the process of making from our everyday life. As industry is redefined, cities and their entrepreneurs must find new strategies to maintain manufacturing sectors so that they also inspire new inventive modes of production. Many urban making spaces are what I call vertical urban factories—really a synonym for dense urban manufacturing. They are organized as integrated spaces—companies that own their building, often with processing that goes up and down, or down and up, using the flow of gravity in many cases, or mechanized conveyors. Or, they are layered in pancake buildings, usually with leased spaces occupied by one or more companies sharing common areas such as elevators and loading docks or services such as power and water. A much-discussed example is Detroit, which, as with so many American cities in the late nineteenth century, became a center for the production of newly welded, molded, and assembled products, ones primarily made with interchangeable parts for bicycle manufacturing, carriage making, stoves and, ultimately, automobiles. Many were housed in traditional multi-storied masonry buildings with small windows, wood floors, beams and window sashes, often expanding incrementally across adjacent blocks as their need for additional space grew. They were mixed with other uses in the city center, gradually developing out with the railroads lines. In the early twentieth century, over forty auto manufacturers made Detroit home, harnessing the expertise of machinists and inventors such as Ford, Oldsmobile, Studebaker, Dodge, Packard, and Fisher. The companies eventually consolidated into what came to be known as the Big Three—Ford, Chrysler and GM. Albert Kahn Architect, Ford Factory Highland Park, Detroit, 1909, exterior. Courtesy of Albert Kahn Architects. Albert Kahn Architect, Ford Factory Highland Park, Detroit, 1909, interior. By coordinating and streamlining his production technologies, Henry Ford both transformed the automotive industry and Detroit and solidified himself as the center of manufacturing. To expand his production empire, Ford hired Albert Kahn to design his larger Highland Park facility. 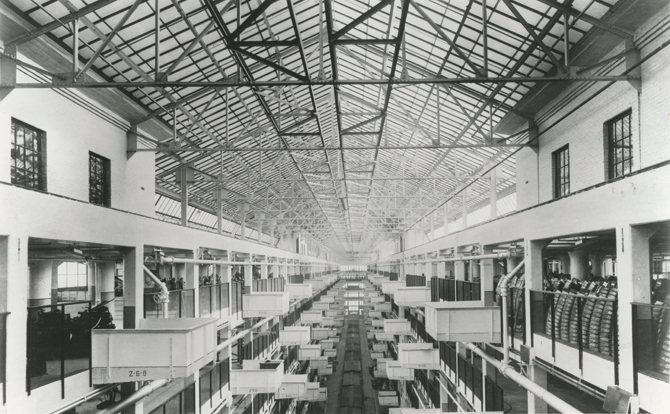 In the first building, or Old Shop, completed in 1910, Kahn’s large open floors for machinery and expansive Crittall steel-sash windows defined the new ‘daylight factory,’ inspiring the nickname, “Crystal Palace.” The four-story, 75×860-foot building used a reinforced-concrete steel system developed by Albert Kahn’s engineer brother Julius that was first seen in the Packard Plant #10 in 1903. The patented Kahn Trussed Concrete system allowed columns to be spaced on a wide, 20×25-foot grid and the slab was poured and integrated with the beams, joists, and slabs into a relatively thin floor. The concrete bay could continue endlessly, just as the production line did, synchronizing the system of architectural and automotive production. Ford developed principles of mass production for the continuously moving assembly line, adopting methods of labor division like those of the meatpacking industry and following Frederick Taylor’s Scientific Management methods. Ford focused on worker efficiency, assigning each worker to repeat a specific task, while the object moved in position along a moving belt. That year, the company reduced the Medel T’s production time from 728 to 93 minutes. To house the new assembly line production process, the plant expanded beginning in 1914 with the New Shop, which included several narrow six-story buildings linked by skylit craneways that allowed heavy materials to be lifted to the cantilevered platforms in an efficient, mechanized handling system. Taking advantage of the multi-storied building, workers hoisted raw materials up to the top floor to assemble the Model T using overhead conveyors invented by Detroit-based firm Jervis B. Webb. The production descended via gravity chutes through holes cut through the floors. As a three-dimensional grid matrix, the processing flowed from floor-to-floor and end-to-end. By the end of 1914, the plant completed 248,307 Model Ts, and by 1917 that number nearly tripled. 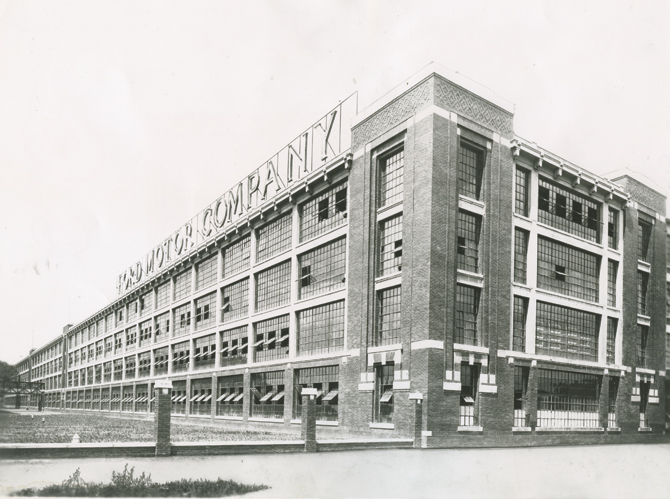 Thus, Ford quickly outgrew Highland Park and built a new River Rouge Plant, also designed by Albert Kahn, in 1917. By 1920, one Ford rolled off the assembly line every minute, and half the automobiles in the world were Model Ts. Albert Kahn ran his own office as a factory production line, systematically mass-producing thousands of projects in the United States and 520 factories during the Depression, in Russia. As Ford began moving his plants to the suburbs, this both impacted their overarching growth and the demise of urban centrality in production processes. 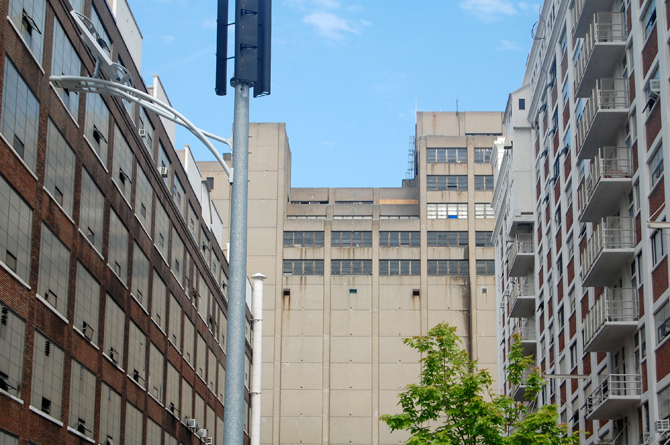 The building itself became a cell on the production line, one element of all that was produced by Ford. Today, as manufacturing increases in developing countries and trade barriers are further reduced, labor practices are undergoing closer scrutiny. The new politico-economic circumstances they engender increasingly challenge environmental conditions in these factories. Industrialists and their designers need to approach factory design in ways that might stimulate worker-oriented spaces as both a social and design problem to solve. What might the future factory look like? In response to the urgent need for jobs and cleaner production, the vertical urban factory is a model for innovation integrated into the cityscape. New industries and niche production relating to the local consumer such as furniture, fashion, printing, and food can continue to expand and revitalize urban economies. I have envisioned a few different spatial and land use scenarios for this near future—Spectacle, Flexible and Sustainable—which can work together or independently. The Spectacle factory represents what I call the “consumption of production.” A factory could engage and educate the public about making by displaying its manufacturing processes through large windows on our city streetscapes. Natural light would improve conditions for workers and those passing by could see how things are made. This would also elevate workers’ dignity and enhance their pride. It already exists in the VW factory in Dresden, Germany by Henn Architects. 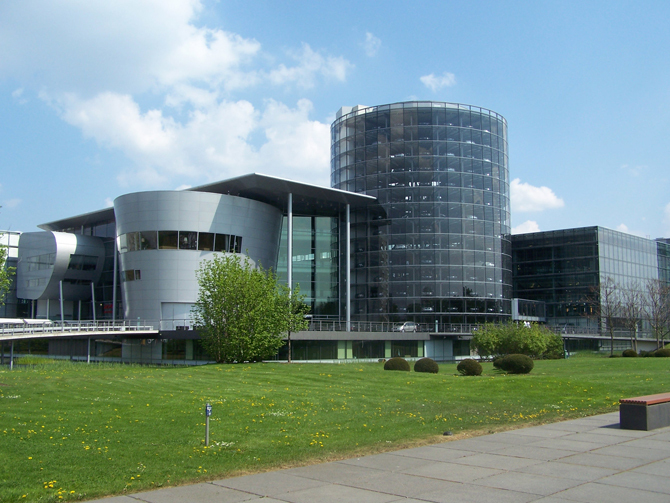 Transparent Factory in Dresden, Germany. Photograph by X-Weinzar. Interior of the Transparent Factory in Dresden, Germany. Photograph by Dave Pinter. 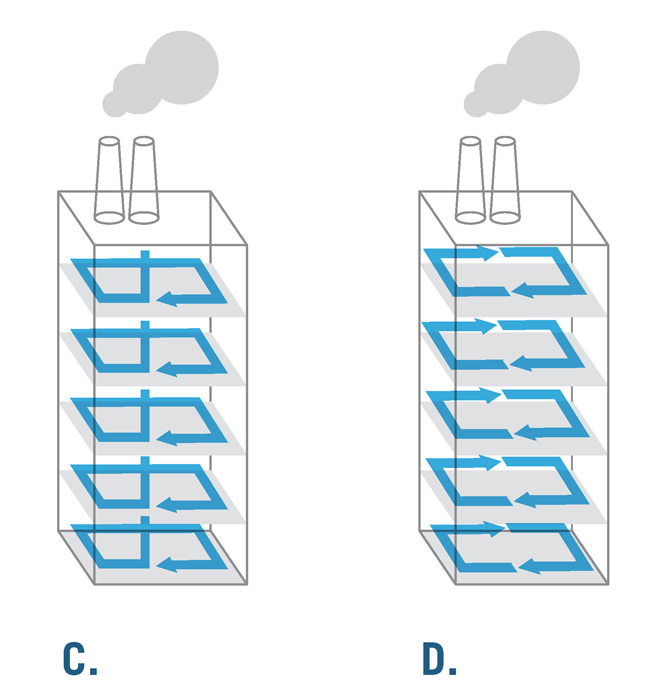 “Flexible” vertical urban factories are often located in former industrial loft spaces easily adaptable according to new machinery and economic needs. These are light industrial, often high-tech workshops, neo-cottage industries, or shared hacker and maker spaces that can be located in existing or new incubator buildings. With open-source manufacturing software, CNC and 3D printers, designers can quickly make prototypes and develop a product in small batches. This could increase innovative, small-scale, just-in-time production for goods on demand and it could be encouraged with government support. 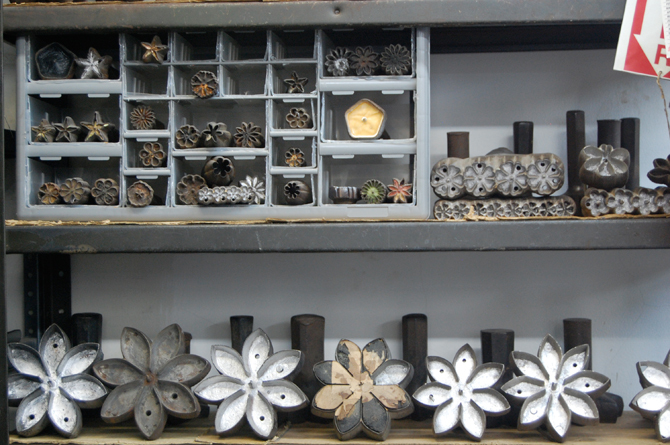 With these smaller spaces, manufacturing can occur everywhere. We do not need separate industrial zones. New clean manufacturing could be integrated with mixed uses to encourage working and living in proximity with a mix of incomes and thus diversity. 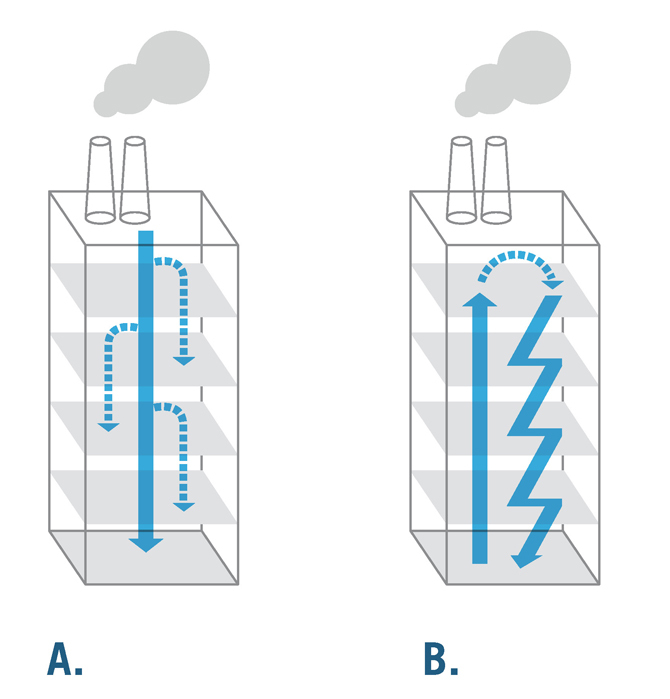 Even elevators in vertical factories can be assets by using regenerative energy that flows into the building system and allows for multi-storied factories. support new infrastructures. Local production also reduces transit costs and air pollution. Collectively, greener manufacturing can result in an urban industrial symbiosis, where one factory’s waste fuels another, and energy produced by a new building system can supply power for entire neighborhoods. Experimental methods to inspire new performance zoning, which relies on real environmental data, can potentially increase density in industrial zones and provide incentives for industrial ecological development across interdependent sites. In New York’s Brooklyn Navy Yard, a vast complex of centuries-old industrial spaces, is a national model for sustainable urban industrial parks. Begun as a small shipyard in 1781 and purchased by the U.S. government in 1801, it quickly became one of the country’s largest with over 70,000 men and women employed there by WWII. In 1966, with more than 9,000 employees still active, the Navy Yard was decommissioned and sold to the City of New York to be maintained as an industrial park. In 2007, the city, in a public-private sponsorship, launched the largest expansion of the 300-acre site since WWII, planning 1.7 million square feet of additional space with a focus on sustainable development and job retention with over 5,000 workers. Brooklyn Navy Yard, New York, 2012. Photograph by Nina Rappaport. 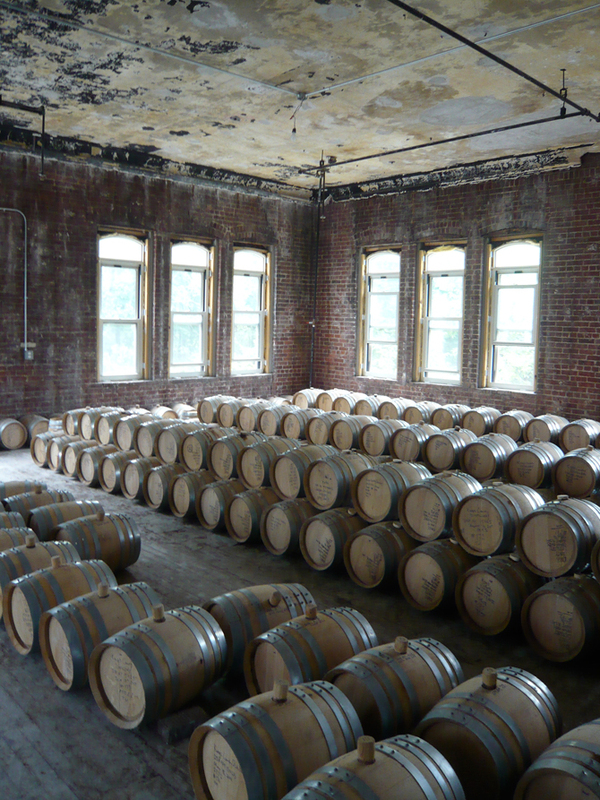 Kings County Distillery, Brooklyn Navy Yard, New York, 2012. Photograph by Nina Rappaport. The Yard can be considered as a holistic entity allowing it to develop infrastructural ideas for sustainability such as recycled wastewater, on-site waste treatment and wind-powered lights. New buildings such as those by Duggal Visual Solutions, Surroundart, and Icestone are contributing to the development of an urban ecological industrial park and these efforts can be replicated elsewhere. The challenge for the sustainable industrial ecology is transdisciplinary. A future scenario would combine vertical urban factories across urban neighborhoods in symbiotic relationships, where the ecology of making things could redistribute the material and energy supply into urban biological systems that react, interact, and create new products and thus new economies. If factories could be taller, denser, and diversified, and urban land could be zoned at higher densities, the vertical urban factory could be reinvented for future entrepreneurs in the new economy. A building type that once was inspiring in its architectural innovation now in the modern age needs to be reconsidered as significant for current designs with new materials and technologies. Industrialists and urban planners must reconsider the potential for building factories vertically, and this, in turn, would reinforce and reinvest in the cycles of making, consuming, and recycling for sustainable and self-sufficient cities. Nina Rappaport is an architectural critic, curator, and educator. She is publications director at Yale School of Architecture and editor of the biannual publication Constructs, the exhibition catalogs, as well as the school’s book series. Her current research and projects focus on the intersection of urban design and infrastructure, innovative engineering, and factory spaces. She is curator and director of the Vertical Urban Factory project.